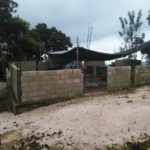 Many of you ask how you can help Limye Lavi after Hurricane Matthew. Thank you for that. The South department is the most affected area, but our communities, already vulnerable, are affected too. It was difficult to get the information from all 6 of the communities we are working with because the roads were washed out and the phone connections were out. These communities do not have electricity. Now we have the latest information to share with you. 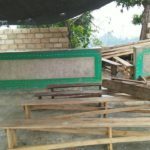 Note: if you want to provide food (short term) and other materials for our school, buy them in Haiti…..it would be great, too, if you can visit …people need to be comforted and reassured – just let us know if you are interested. We believe that a good cup of coffee in the morning and spending time in the communities are always the best therapy in this catastrophic moment. We will find a way to accommodate you. We have developed strong programming to help people living in the communities find their voice and energize them. Our methodologies, Open Space, Edikasyon Se Yon Konvesasyon (ESK – Education is a Conversation), and Reflection Circles faciliate people coming together and talking with each other. Remember, people are traumatized, our methods are simple and bring good results. Let us know if your institution can help us. A) We are working with 6 communities: Tizon, Ma, Wo Jefre, Ba Jefre, Dena, Platon in the South East Department. 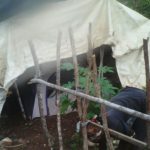 Three of them, after working with Limye Lavi for 4 years, had become independent and were working on their own without Limye Lavi’s direct intervention. Hurricane Matthew destroyed many of the gardens and small animal husbandry that had been achieved together. These projects were the hardest hit and they were counted on to help their children and build their future. We talk with them….discouraged? Yes. But they want to start again ….as our Haitian quote says ” toutan tet pa koupe gen espwa” – ‘as long as we have a head on our shoulders, there’s hope’. -They need help from people who are already in the construction sector to rebuild houses, Maybe you know someone who can help, please share this information with them so they can contact us. 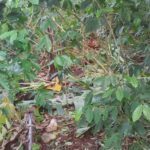 –In the Tizon community, The leader of the community, Imol (borrowed name) reports there are 53 hourse that were damaged. This leader is the school teacher, and agricultural technician, child accompaniment group (KomAnTim) coordinator. -Gou community: 2 houses are completely destroyed, 11 houses damaged, 2 protestant churches damaged, 1 national school damaged, animals killed and gardens destroyed. –In the Ma community, 2 houses lost their roofs, wind destroyed a lot of the gardens, animals were killed. The leader of the community (Krismas) is living in the area with his family. 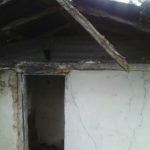 –In the Dena community where the leader is a health agent and the coordinator of the child accompanyment group (KomAnTim), wind destroyed all the gardents, all the animals were killed, many houses have lost their roofs. — In the Platon community, Paul Luckson is the teacher/school principal says ther aren’t any gardens anymore, the animals were killed, there isn’t any water. -In Bâ Jefre, Jean Baptiste Pierre Pradel, farmer and veterinary agent, said the animals were killed, the gardens were destroyed, and houses lost their roofs. -In Wo Jefre, Dieudonné, a farmer and veterinary agent reports gardens that were lost, houses that lost roofs and animals that were killed. Thank you for reading this message – it took us a little while, but we wanted to bring you important news.